Het Britse dorp Penzance loopt voorop in de strijd tegen plastic. Het dorp ligt aan de kust van Cornwall en heeft te kampen met grote hoeveelheden aangespoeld afval op de stranden. Aangespoord door activisten kiezen steeds meer winkeliers en restaurants ervoor zo min mogelijk plastic tassen, bekers, rietjes en bestek te gebruiken. Inmiddels zijn 30 winkels in het kleine plaatsje als plasticvrije onderneming aangemerkt en presenteert Penzance zich als het eerste plasticvrije dorp van het Verenigd Koninkrijk. 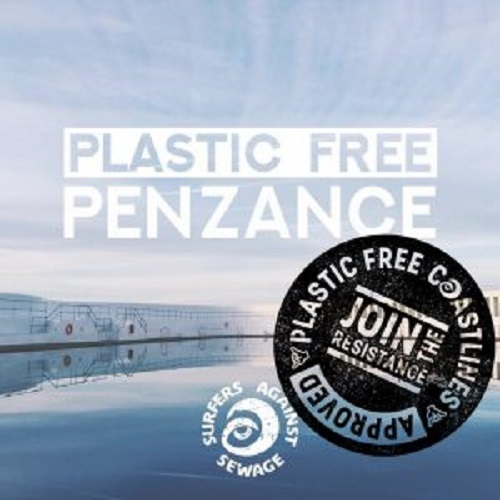 As part of a campaign being run by the marine conservation charity Surfers Against Sewage (SAS), Penzance has been given plastic-free coastlines approved status. The community of Penzance have completed five objectives set out by SAS which can be used to guide any area to reduce their reliance on single-use plastic items. They have been engaging with the local area including other community groups and schools through talks and their presence at events to get everyone on board with the plastic free coastline programme. A Devon town has become the latest to sign up to a plastic-free movement to reduce its single-use plastic. The initiative set up by Cornish charity Surfers Against Sewage (SAS) has been joined by Ashburton Town Council as well as 16 communities across the south-west of England. There are currently 200 communities across the UK all working towards achieving the plastic free status.